The curtain falls on the Scottish Hockey domestic season at one of the highlights of Scotland's sporting calendar - the Scottish Cup Finals! 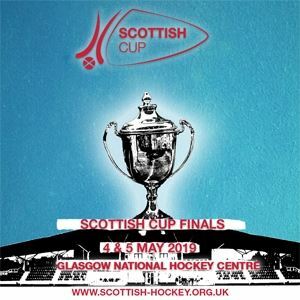 Who will finish the season by lifting the coveted silverware at the Glasgow National Hockey Centre? The District and Reserve Cup Finals will also be settled in an action-packed weekend of top-class Scottish Hockey. No allocated seating - Main Stand seats available first come first served, otherwise standing.